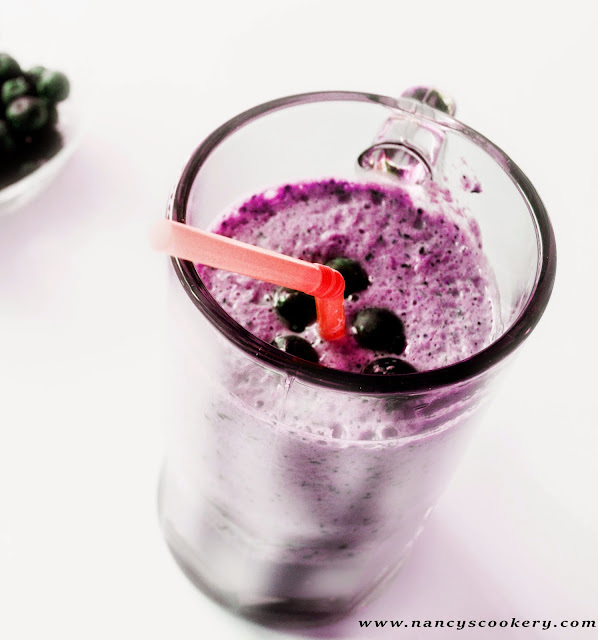 Blueberry milkshake is also one of the healthiest drinks. You may heard/drank blueberry smoothies. 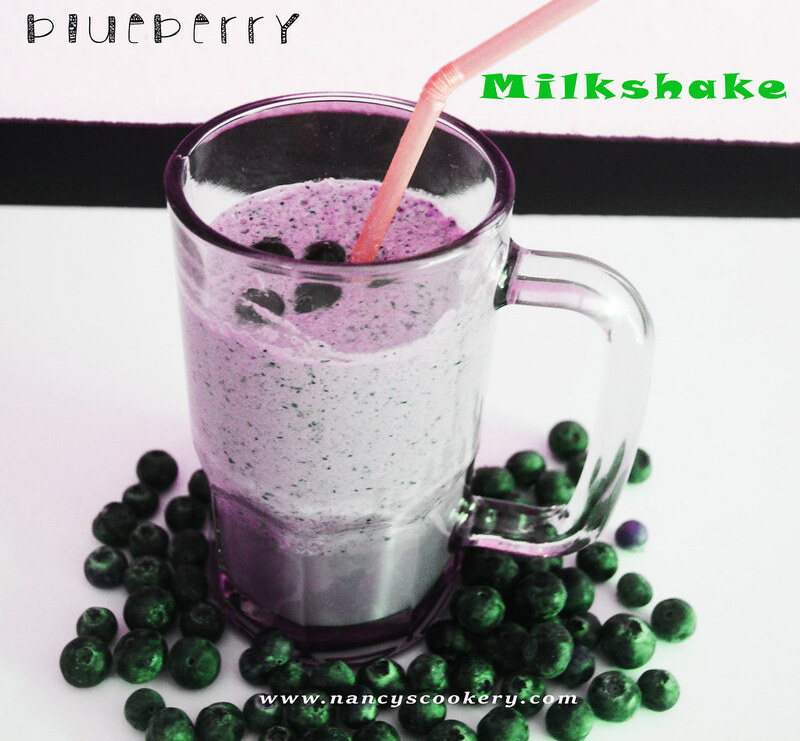 But I will present here blueberry milkshake recipe. I made this like every other milkshake. I am not a great fan of blueberry. 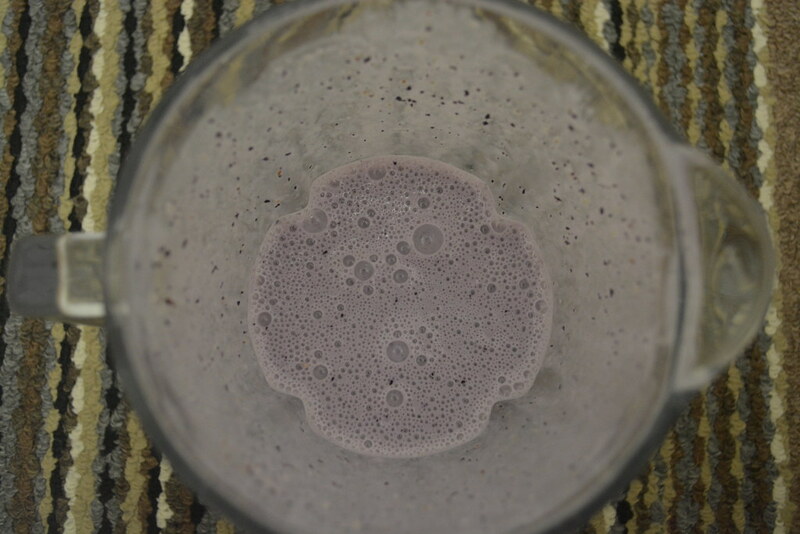 But after making this milkshake, I liked blueberries. I have used whole milk here. But you can use reduced fat milk/non fat milk according to your diet. And I have not used honey, you can use it. 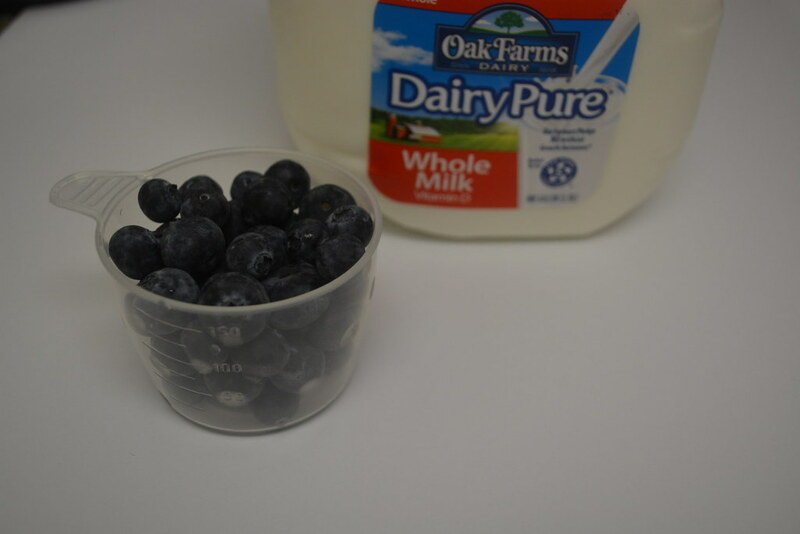 The advantage of this milkshake is we can consume one cup of blueberries at a time by having this milkshake. Fruits are good for health and especially the berries are packed with Vitamin C and blueberry is no exception to this. 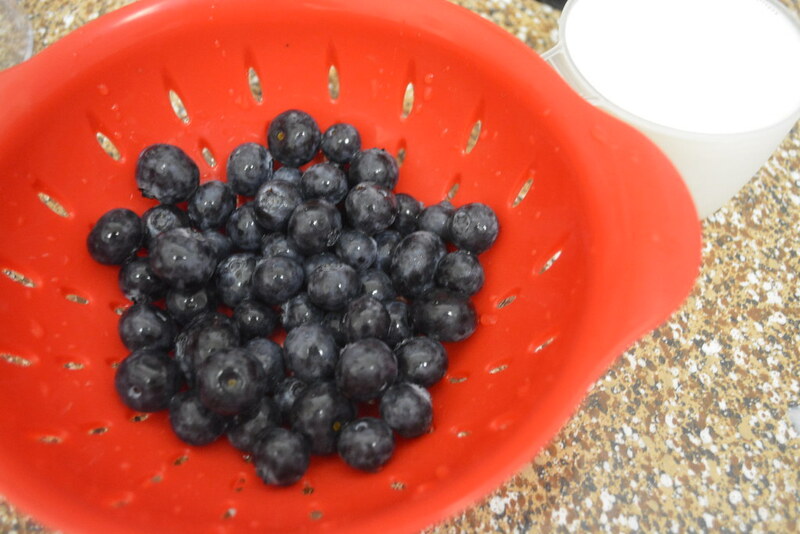 Blueberry has lots of Vitamin C. It is good for heart. And it also reduces the blood cholesterol level by daily intake of considerable amount of blueberries. 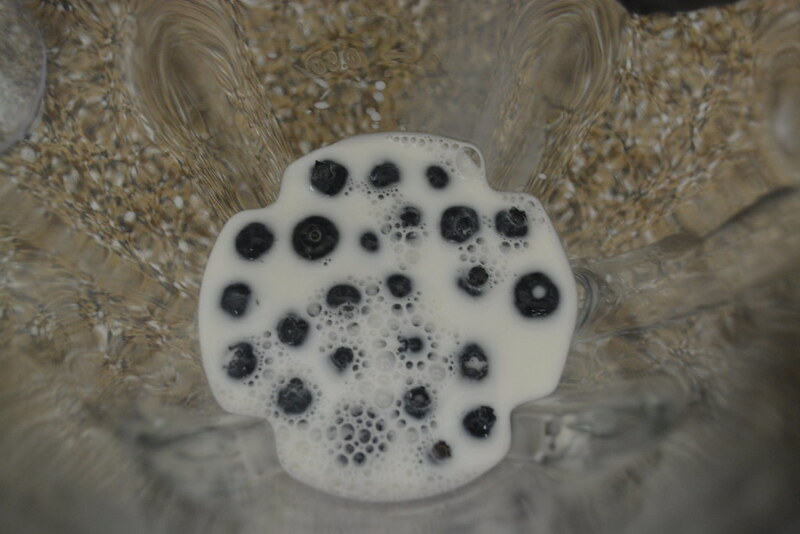 Blueberry - 1 cup or 8 oz. Make ready the ingredients and wash the blueberries. Adjust the milk according to the consistency you like. Use sugar quantity as you like and to your taste. 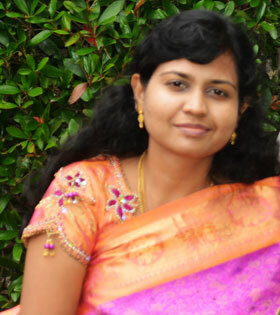 Adding honey increases sweetness, so adjustthe sugar quantity according to that.